The startup dream is unraveling, and it’s unravelling quickly. 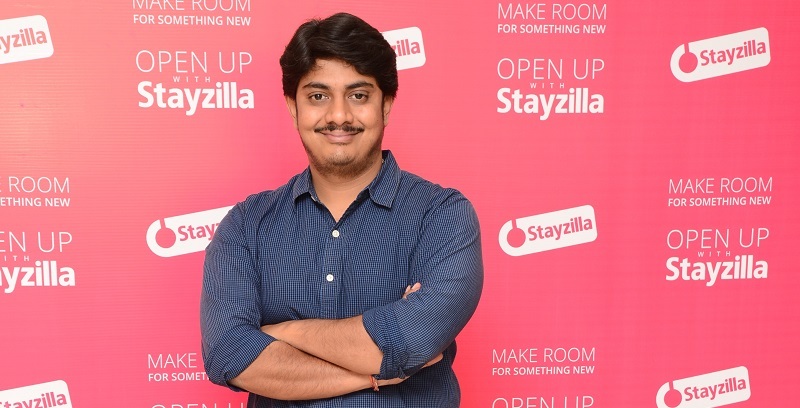 Stayzilla founder Yogendra Vasupal has been arrested by the Chennai police on charges of defrauding a client of Rs. 1.72 crore. Vasupal has reportedly confessed to the charges, and will be produced before a magistrate’s court tomorrow, which will send him to jail. StayZilla had shut down operations last month after being unable to raise a fresh round of funding. The news broke in dramatic fashion late Tuesday evening when Vasupal was reported missing by his cofounder, Sachit Singhi. Singhi had sent a mail with the title “Need help, Yogi is missing!” to his investors at Nexus Venture Partners Matrix Partners. The mail had said that Vasupal was last known to be at the station of Commissioner of Police, Egnore, and the police had taken away his phone. 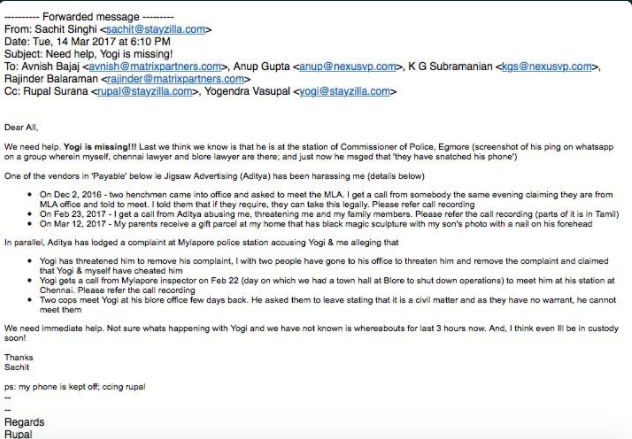 In the email, Singhi said that both he and Vasupal had been harassed by one Aditya from Jigsaw, who’d been demanding dues that were owed to him by Stayzilla. He says that over the last few months, Jigsaw had sent henchmen and made threatening phone calls, hoping to recover their money. Incredibly, Singhi also claimed that his parents received a gift parcel with a “black magic sculpture” with his son’s photo which had a nail driven through his head, presumably sent by Jigsaw as an intimidatory tactic. Jigsaw too had lodged a complaint against Stayzilla, claiming that they were cheated by the hotel aggregator. The police had visited Vasupal’s Bangalore office a few days ago, but had been sent back as they had no warrant. Singhi’s mail had gone viral on Twitter, and the startup community had rallied around to help Vasupal. Freshdesk founder Girish Mathrabootham, who’s based out of Chennai, had offered to help, as had many journalists and VCs. It had later emerged that Vasupal was in custody. Vasupal’s arrest, though, will send shockwaves around the startup community. The ecosystem had boomed over the last few years, with easy access to money, sky-high salaries, and a mushrooming of new companies. But the harsh reality of unsustainable, hyper-funded growth is beginning to dawn on Indian startups. There had been warning bells when the layoffs, markdowns, and shutdowns had begun. But the arrest of a well-liked startup founder has just put the ecosystem’s troubles in painfully real terms.